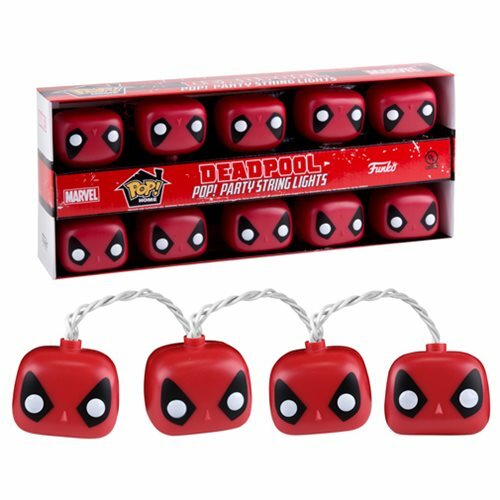 Shopping for Deadpool Holiday Decor? Your hall of Pop! Vinyls need be in darkness no longer! Marvel's Merc with a mouth will shine through the darkness. Decorate any room with the Deadpool Pop! Party String Lights, featuring 10x Pop! Vinyl stylized heads of Deadpool along a white wire that plugs in to standard outlets.. Ages 13 and up.